Keeping secrets safe may no longer possible in tightly interconnected world – for individuals, corporations or governments. 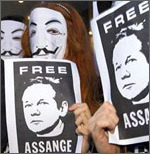 In 2007, a loose band of journalists, computer programmers, activists and volunteers – with Australian Julian Assange as the public face – launched a website allowing whistle-blowers to supply documents not publicly available that expose secrets. More than a million documents have been posted since on human-rights violation in Kenya, Guantanamo operating procedures, military activities in Iraq and Afghanistan, and part of a trove of more than 250,000 leaked US State Department cables. These classified briefings provide a glimpse into US policies and methods in handling difficult matters around the globe. The deluge of diplomatic cables provoked US fury and immediate censorship attempts. US companies complied with government requests, shutting down servers and outlets for collecting donations for WikiLeaks. But the US has quickly discovered that it’s impossible to contain the leaks replicated on a myriad of mirror sites. Besides secret documents, WikiLeaks and other internet whistle-blowing sites expose the promises and perils of globalization, including fast global communications, rapid online connections forged among strangers intent on a cause, citizens calling on governments to explain contradictions between private and public pronouncements, the difficult balance between the need for defense and secrecy versus freedom of expression and truth-telling, and the feasibility of governments agreeing on global standards for freedom of expression or internet controls. As nations and individuals divide into camps in support of document release or opposed, YaleGlobal analyzes the global implications of uncovered secrets and battles with faceless defenders of free expression and justice.